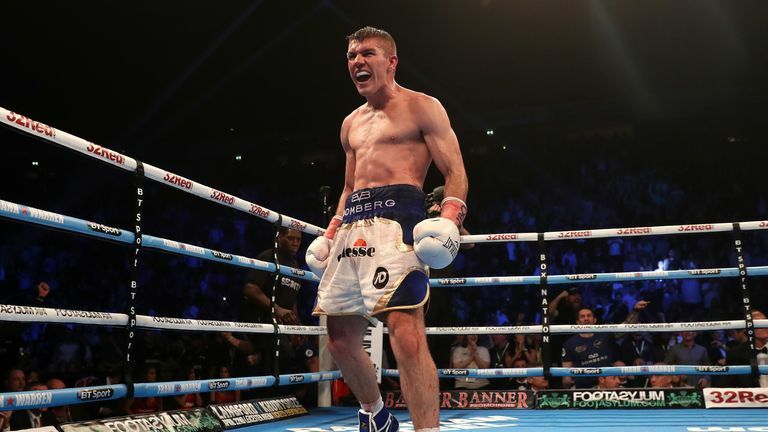 Liam Smith faces Sam Eggington in a super-welterweight showdown in Liverpool, live on Sky Sports, with Anthony Fowler against Scott Fitzgerald on a bumper March 30 bill. The Merseysider has agreed to battle the dangerous Eggington as he attempts to climb back up the 154lb rankings, in a homecoming clash at the top of an exciting undercard at the M&S Bank Arena. Liverpudlian Fowler and Fitzgerald collide in a battle of unbeaten super-welterweight prospects, while heavyweight David Price returns against an unnamed opponent, and Joe Hughes defends his European super-lightweight title against British champion Robbie Davies Jnr. Smith, who has not fought in Liverpool since 2016, told Sky Sports: "It's a very good fight for me. I've done a lot - and I mean a lot - of sparring with Sam. I've got to do a proper job on Sam, and a proper job is what I truly believe I will do. "You know what you are going to get with him, he comes to fight. You aren't sitting on the edge of your seat wondering what he's going to bring. It's the same with me and you know this is going to gel into a good fight. We will meet in the middle, it's what we both do. "I do feel, though, I do everything better than him and beyond. I feel if I 'turn up', you will all see what I mean. Him and [trainer] John Pegg are good people and I remember someone saying they would never take this fight, but I knew straight away they would. "I am a big way back into boxing for him, and as we've sparred a lot, whatever confidence he can draw, he will try and draw some from that. "I've got to do a proper job on Sam, and a proper job is what I truly believe I will do. Having those little gloves on are so different to sparring and with those 10oz gloves on, I am massively confident I will find those gaps. "Everything I throw will hit Sam, and I just feel I have too good a variety for him to carry on going." Promoter Eddie Hearn said: "I can't wait to be back in Liverpool on March 30, I love it there! "This is one of the best all domestic cards we have put on in the city - Liam Smith returns from his world title defeat to face the all-action Sam Eggington, in what will be an absolute war, and Anthony Fowler faces off against ex GB team mate Scott Fitzgerald in another crunch 154lb clash. "The British and European super lightweight titles are on the line for Liverpool's Robbie Davies Jnr and Joe Hughes and big David Price fights in Liverpool for the first time in nearly three years as he looks to make a charge in the heavyweight division after his recent win at the O2. "There's plenty more action with rising cruiserweight Craig Glover, Tom Farrell and Natasha Jonas. It's going to be a busy night and a great event on March 30."